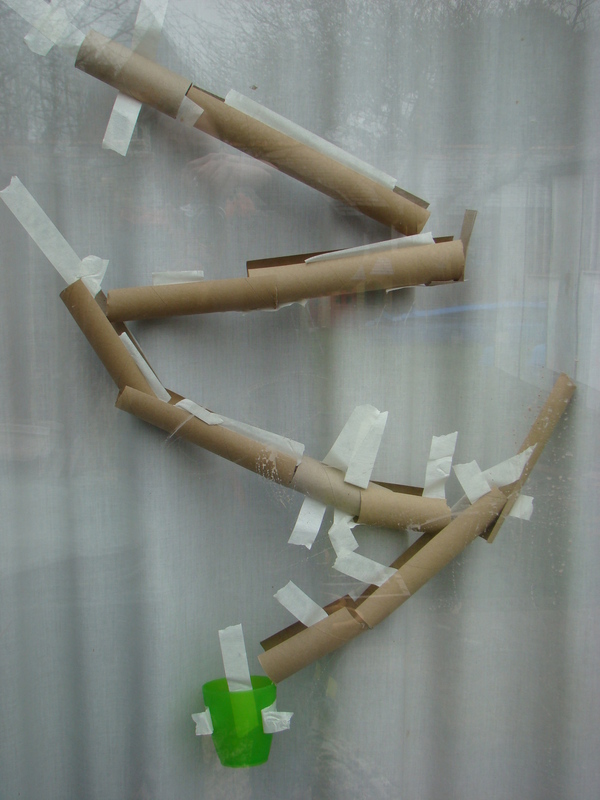 Today has been all about compound words, cardboard tube marble runs and treasure hunts. This morning after a couple of hours of Lego building, Thomas went on Reading Eggs. His lesson included a game introducing compound words and both Thomas and Jasmine have been experimenting with these all day since! They really got the hang of it and at dinner time alone they came up with sun+rise, water+melon, sun+flower, ear+ring, card+board, butter+fly, lady+bird, back+pack, foot+ball, black+berry, straw+berry (and several more on this theme! ), snow+man, and definitely many more that I can’t remember now! I think tomorrow we’ll play some compound word games as they really did like exploring this new idea. This afternoon we hosted a small Home Education group meeting at our house. I say small because there was only 2 other families that could make it today, but there was still 9 children here in total! The only place I could think to build it was on our patio doors so this photo is taken from outside, looking in with the curtain closed! This was the only way we could get a good photo! The kids all enjoyed building this and figuring out what worked and what didn’t. It is definitely an activity we’ll be doing again. 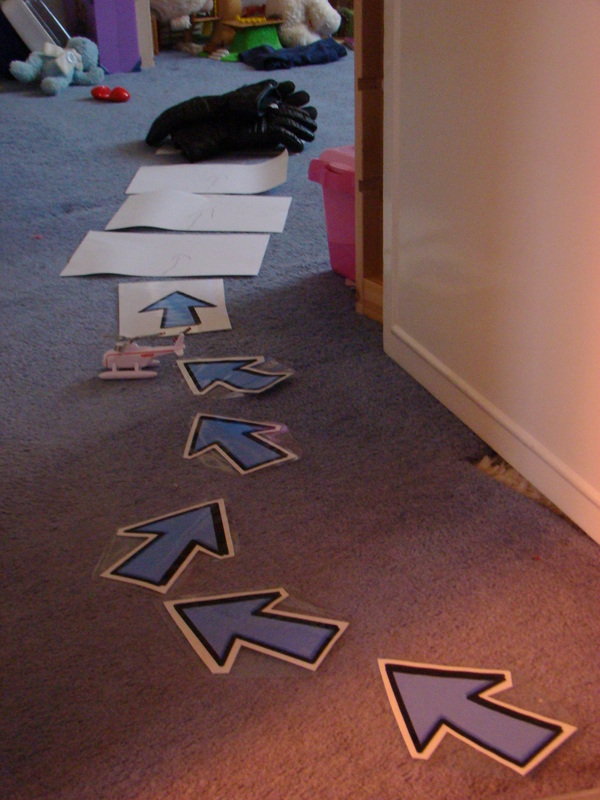 Once all our friends had gone home Thomas found the arrows I had used for the Easter Egg hunt in the garden on Sunday. He started making treasure trails through the house for Daddy to follow, and he even drew some more arrows to make the trails longer. At the end of the trail was always Daddy’s motorbike gloves!